Don has been involved in the study of the 4-dimensional human form for the best part of 3 decades. He is intrigued by the complexity of the 3-D shape puzzle that leads to each of our individual structure and function outcomes. Alongside this lies a passionate interest in the timeline of where we have collectively come from in evolutionary terms, of the individual personal story we each have… and of the future potential within the transformative process that can occur through the easing of restriction patterns, improved structural relationships and of reconnecting to the inner awareness of the body. 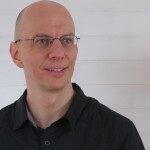 Don holds a BSc in Complementary Therapies and Bodywork for the University of Westminster. Don and his partner live and work in the Scottish Highlands where they own a small clinic that is run on not-for-profit and community ideals. The majority of Don’s clinical work is with people with chronic pain and discomforts that have their origins in work patterns, habits, & posture. He takes a problem-solving approach using Structural Integration, visceral/neural manipulation and movement re-educaton with the people he works with. Wojtek has been fascinated with movement, sports and bodywork all his life. He finished his degree in sport education and physiotherapy and he is also a board-certified KMI structural integration practitioner. 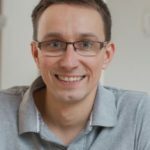 Wojtek has been practicing manual and yoga therapy for five years, combining it with myofascial therapy in the water. Happy father of two children, he lives and practices in Poland in a medical Spa whose idea is built around Anatomy Trains concepts and KMI structural integration combined with structural, functional diagnostics, physiotherapy, and manual and movement interventions. His passion is bodywork and holistic approaches to the treatment of musculoskeletal disorders. He brings this passion combined with his excellent knowledge of anatomy and manual therapy technique to the workshops he teaches. Owen is an experienced Structural Integrator from the Kinesis Myofascial Integration (KMI) School. He runs a busy practice in the East of England. His diverse education includes undergraduate and postgraduate qualifications in sports science, injury rehabilitation, sports psychology and teaching. Structural Integration was the next natural step in his search for long-term positive change within a holistic modality. He teaches with an enthusiasm and insight that is infectious with a relaxed, open style of teaching, allowing self-discovery as well as the understanding of precise technical detail. His own interests range from the visual arts, poetry and music to philosophy, dance and numerous sports. 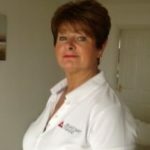 As a teacher, lecturer, writer, physiotherapist and personal trainer, A-P specializes in a comprehensive and detailed understanding of movement in the context of the integrated myofascial web. A-P has explored the functioning of the body from a multitude of different perspectives over the last 20 years. In his daily treatment and coaching practice he uses highly specific clinical and functional differential diagnoses, integrating them into an overall myofascial movement and posture analysis to rehabilitate and train his clients towards better health and performance. 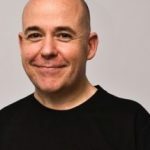 He has written three books examining the field of exercise and wellness from different angles, exploring occupational health and wellbeing as well as more versatile and functional exercises that would best serve our neuro-myofascial entirety and personal goals. 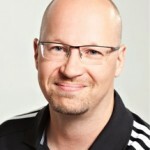 A-P is a founder of and senior teacher for the largest personal trainer education organization in Finland, Trainer4you. He is known to give inspiring and intense yet also fun and entertaining lectures that put the theory into practice. 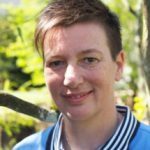 Fiona is co-founder of Pilates East Anglia specializing in clinical and modified Pilates classes and 1-1 sessions, and practices KMI Structural Integration in the UK. She is a fully certified APPI instructor (Australian Physiotherapy and Pilates Institute) and Modern Pilates Instructor, Certified Anatomy Trains teacher, Kinesis Myofascial Integration Therapist and Remedial Massage Therapist. Fiona has a passion for helping people achieve their best, which she brings to everything she teaches along with a great sense of humor and fun. 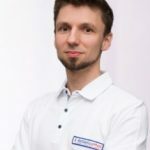 Marius Kurkowski is a physiotherapy graduate and a manual therapist. 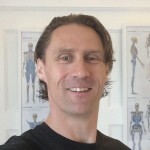 He graduated from the clinical massage programme at prestigious Soma Institute in 1999 and since has worked in various clinics alongside chiropractors, osteopaths and acupuncturists. In 2012, Marius graduated from the Anatomy Trains Structural Integration training in UK. 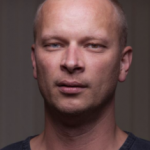 In the past decade Marius has worked with various leading teachers such as Tom Myers, Robert Schleip, Andre Vleeming, Ed Maupin and Serge Grocovetsky on various publishing, teaching and translation projects. He regularly writes bodywork related articles for physiotherapy journals. Co-founder of Polish Structural Integration Association. Passion for simple, yet logical solutions led to own way of explaining aspects of postural patterns and biomechanics. Marisa is also the owner and manager of S3Publishing which specializes in bodywork related publications.